People living opposite Queen’s Park Tennis Club are concerned about plans to set up a bar. The club in East Drive, has applied for a licence to sell alcohol from noon to 11pm for gatherings, private parties, internal functions and community events. Noise and anti-social behaviour are among the issues raised by neighbours. One objector, Charlotte Macpherson, said: “The building is completely unsuitable for live music. It is not sound insulated. “This is a quiet residential area and a family park, and is not suitable for parties and drinking. She was concerned that the public notice on the side of the club pavilion was not filled in correctly. None of the options on the form were deleted, making it unclear, she said. 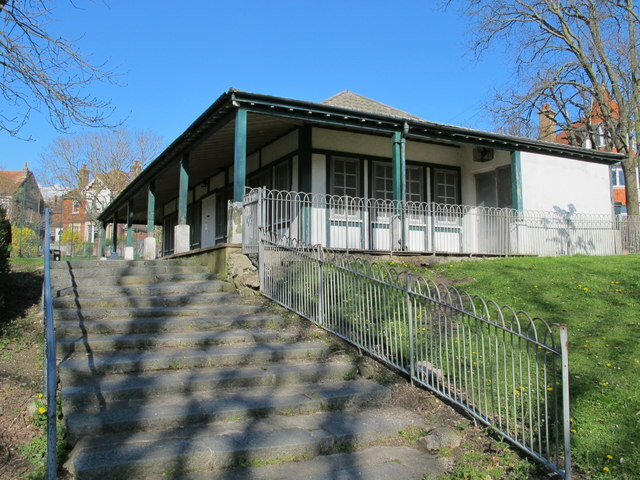 Another objector, Gillian Palmer, said: “The Tennis Pavilion has always been a social venue for the tennis, before that bowls and the local committee meetings. And another objector, Rachel Myer, asked who would be responsible, as the club had asked to have the designated premises supervisor requirement removed so that the committee would be collectively responsible. She also said: “The area outside the tennis court is large and the noise from people talking and shouting could be very disturbing. “I believe that a temporary event notice for a limited number of events per year is in keeping with the quiet residential area. Neither Sussex Police nor Brighton and Hove City Council’s licensing department has objected to the application. There are no restrictions on new licensed premises in the Queen’s Park area. The club has agreed to install a digital CCTV system and hire stewards or legally authorised door staff for events if required, after carrying out a risk assessment. It has also committed to making sure that all members of the hall management committee and other staff or volunteers have full induction training on selling alcohol, with a refresher every 12 weeks. The application is due to be decided by a council licensing panel at a hearing at Hove Town Hall on Friday (22 March). The panel of three councillors is due to meet at 10am. The hearing is open to the public. I would like to point out that since I put in my objection to the license application, Queens Park Tennis Club has now adjusted its licence application in keeping with a village hall or community space, which is more suited to the building and it’s location. Also, QPTC finally sent out a detailed & comprehensive letter to its neighbours addressing our concerns. It would have been useful to have had better communication from the Tennis Club about the license application earlier on in the process. However, I have now withdrawn my objection in the light of these changes. Therefore your article has incorrectly quoted me and used my name without asking my permission. Please can you amend the article. Rachel Myer. Thanks for your comment. Just to clarify, your name and email are included in this publicly available agenda report for Friday’s licensing panel https://present.brighton-hove.gov.uk/Published/C00000160/M00009697/$$ADocPackPublic.pdf.